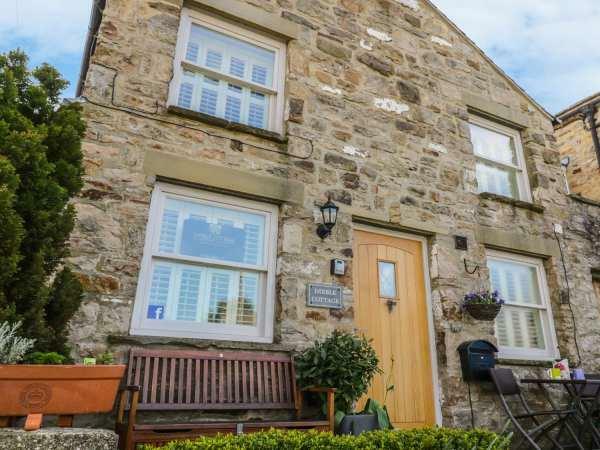 The holiday cottage of "Dibble Cottage" can be found in Reeth in North Yorkshire. Dibble Cottage can sleep 2 people with 1 bedroom to sleep your holiday party. Dibble Cottage has a bedroom makeup of: One ground floor king-size double bedroom with en-suite shower, basin and WC. First floor open plan living area with kitchen, dining area and sitting area with woodburning stove. Dibble Cottage would make a good holiday cottage for a couple. These are the reviews for Dibble Cottage. There are 33 reviews. The owner went that extra mile to make rhe cottage as homely as possible with a christmas tree lighted on arrival. A bottle of presecco was waiting for us together with christmas presents for my wife and I and are border collie Maisie.. I can't say enough good things about this place - finished to a very high spec, clean, cozy and has everything you could wish for including very welcome treats for us and our pets. Great communication with the owner who was so lovely and helpful. I could happily sit and look at the views of Fremington edge from the sofa on a regular basis and a return visit can't come soon enough for me! Sykes were as efficient as ever. Made more so by the little extra touches provided by the owner. Look forward to another visit. Situated in a beautiful part of the country, we have enjoyed a mix of local walks with the occasional drive out to explore the nearby towns and villages. The cottage is such a fabulous place to return to - very comfortable with top quality fixtures and fittings. Ideal for a couple with an energetic dog! Highly recommend. We can't fault it at all. It was beautifully presented and fully met our needs for a relaxing holiday. The location was perfect, parking was easy and the owner was friendly and helpful. Lovely surprise treats, including for our dog! All set in a very pretty village. Would most definitely recommend and we are hoping to go back! It has everything you might hope for. It is in a delightful location and Liz the owner made us feel most welcome. We are walkers and Swaledale has it all. Excellent walks to suit all abilities with lovely pubs at the end! Cannot recommend it high enough, it may be small in size but that does reflect on how comfortable for two people the cottage is. It is small but excellently fitted out and the gifts for people and dog were much appreciated by all. In the centre of the lovely village of Reeth within walking distance of many puts and cafes and walks on the magnificent Yorkshire Dales. The owner has thought of everything and has impeccable taste. It is immaculate, cosy and very welcoming. Milk, prosecco and fresh home made bread, were a welcome surprise when we arrived. Reeth is a great village to stay with everything you could want. Book this cottage, you will not be disappointed , unless you are really hard to please. A brilliant place to stay. Catered for our every need including our two small dogs. Thankfully very warm and cosy particularly as we had heavy snow! Lots of extras also including a vast DVD collection, lots of recommended walking routes, and a loaf of delicious homemade bread and bottle of prosecco on arrival. Would 100% recommend this to anyone, and will definitely be coming back! this made it feel like a very personal service. We were very pleased to have a check in day that was not standard. Fabulous cottage, and such a warm welcome for us and the pooch. 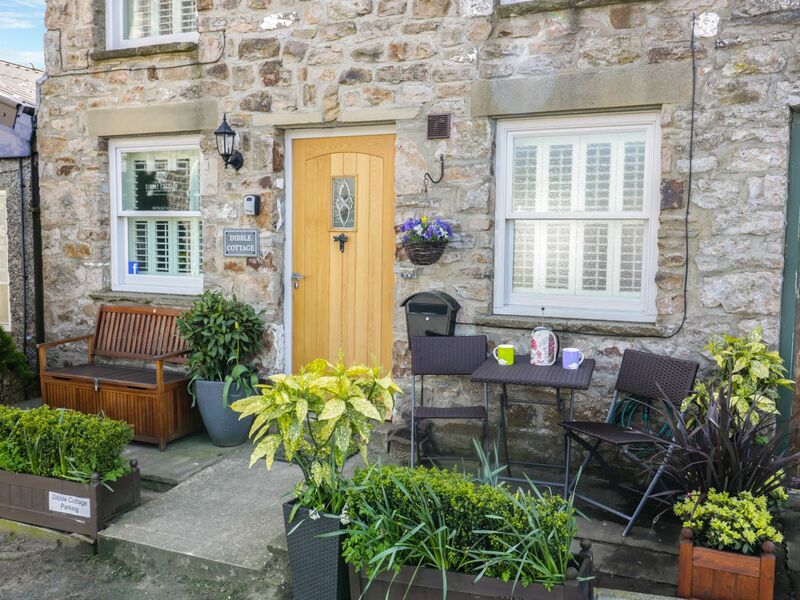 If you are looking to stay in Reeth this is the perfect place for 2. We stayed here for a weekend and cannot say enough good things. The cottage is so well thought out with every single space put to good use. The owner has thought of absolutely everything you could need and there are lots of thoughtful additions to make for a very comfortable stay. Lovely touches like a personal welcome message on the chalkboard, biscuits for the dogs and prosecco, milk and bread for us on arrival. Dog friendly pubs, welcoming locals and stunning dales scenery all around. If anyone can fault this cottage and this place then they are unable to be pleased if you ask us. We fell in love and will be back again. Romantic, comfortable and very well done. Beautiful location. A real little gem and great value for money. Prosecco, milk and bread waiting for us on arrival. Clean, comfortable, great location and excellent value for money. Beautifully and cleverly decorated making the most of the space. A cosy retreat in a wonderful part if the world. We loved it! My husband and I stayed at Dibble Cottage for a week in July and we had a wonderful time. From the moment we pulled up outside the cottage we knew it would be lovely inside and it was. We loved the upside down layout with the bedroom and beautiful modern bathroom downstairs and then the really bright living room/ kitchen dining space upstairs. The decor of the whole place was beautiful and very tastefully done well done Liz it was like a five star hotel. Everything you could need and more was there. We appreciated the fresh bread and welcoming bottle of presecco a lovely touch. We loved the location of the property as 2 minutes in the car and you were in the beautiful dales. The village had one or two lovely pubs, a teashop, village store etc. We loved returning every evening to the beautiful comfortable and cosy cottage. Thanks to Liz and we would definitely return and highly recommend to others. It was beautifully decorated and spotlessly clean. Loved the upside down layout. Loved the location for accessing the dales. Would return and highly recommend. I cannot recommend it high enough. Brilliant find. What can i say but what a beautiful cottage high quality furniture and very clean one of the best cottages we have stopped in the owner as done everything to make your stay cosy, the walks around the area are excellent and the local pub's serve good food especially the buck we will definitely be going back soon. We enjoyed our stay and will definitely return to this beautiful cottage. We loved this little cottage, it was so warm and cosy and the décor was wonderful, relaxing to the eye and quality and luxury throughout. There was even a Christmas tree which had been lit for our arrival. We had snow so ended up a lot of time indoors but we didn't mind at all. There were so many thoughtful touches and though we don't have pets at the moment, the fact the owner welcomes dogs into such a pristine property without a long list of rules, just gentle suggestions, summed up the feel good factor about this place for me. We'll definitely be going back. just returned from a 1 week break at dibble cottage. the little cottage is just fantastic, the owners have designed this cottage to maximise its size whilst it is small you don't feel like it is. it has everything that you need , and is immaculately clean and finished to a very high standard. we would have no hesitation in rebooking this again. we were very lucky as the weather was superb so spent lots of time sat out on the village green enjoying the warm sunshine. cant wait to go back. If you're looking for other cottages around Dibble Cottage, we've got some cottages below which may take your liking. There are 54 cottages within 5 miles of Dibble Cottage - and they have reviews too.